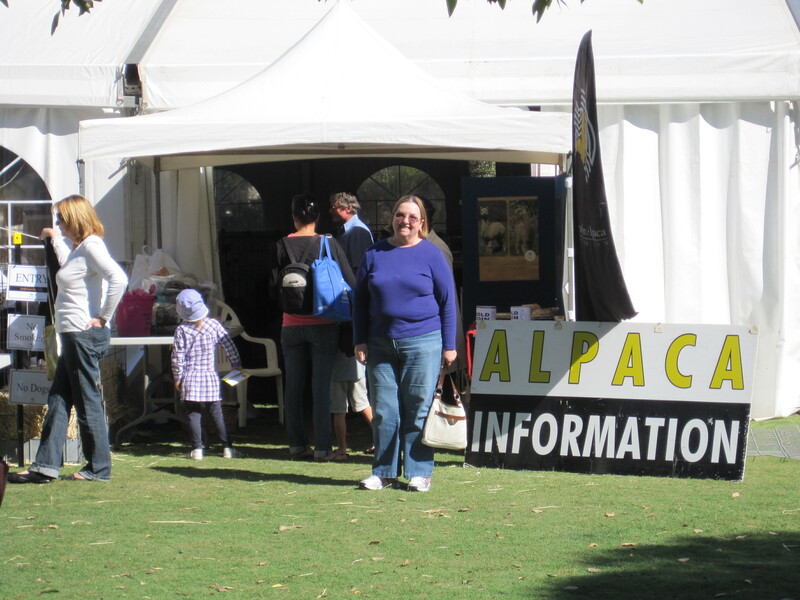 The Western Australia Alpaca Show, held at Whiteman Park about 30 minutes outside of Perth, was a marvelous way to see lots of Alpacas of many colours and learn more about this lovely animal. I believe alpacas are elegant looking animals with their long necks matching the length of their legs, and with their heads held high while their alert eyes watch the world around them. 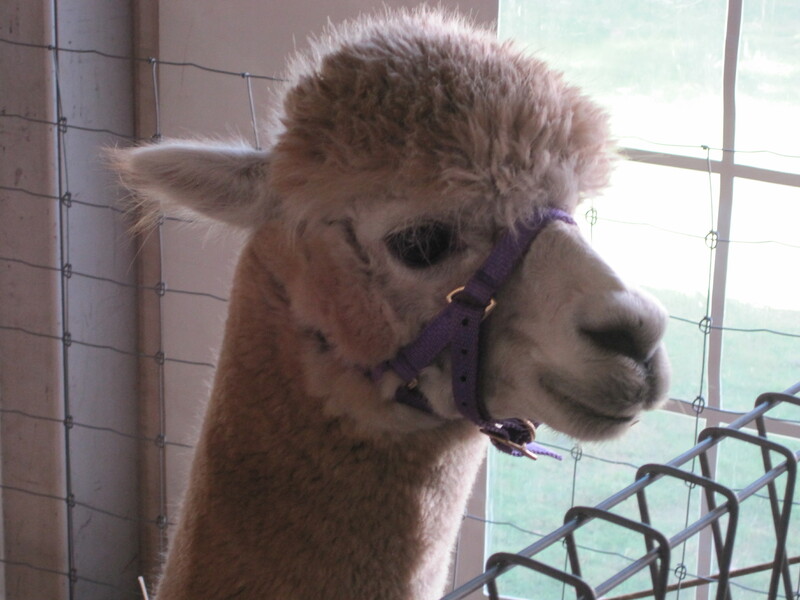 I entered the white tent-like barns and met most of the over 200 alpacas inside. The most common in Western Australia are the Huacaya (pronounced wua’ki’ya). Huacaya have crimped fleece which grows at right angles to the body and give them a well-rounded appearance. They are so soft to touch, and the animals come in many different colours from white to black, ranging through fawn, brown, roan and grey. 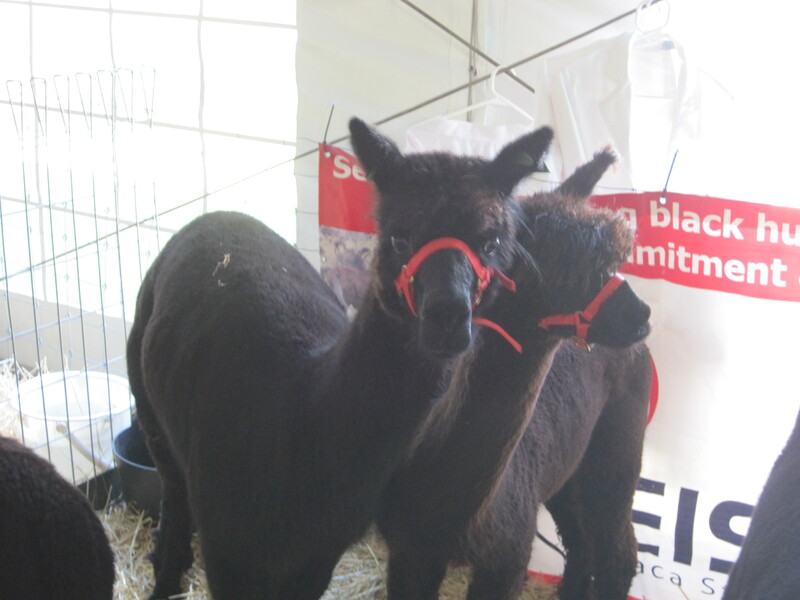 Suri (pronounced soo’ree) alpacas are less commonly found. Suri look like they are covered in dreadlocks with their wavy and silky feeling locks. Just beautiful to look at and touch. 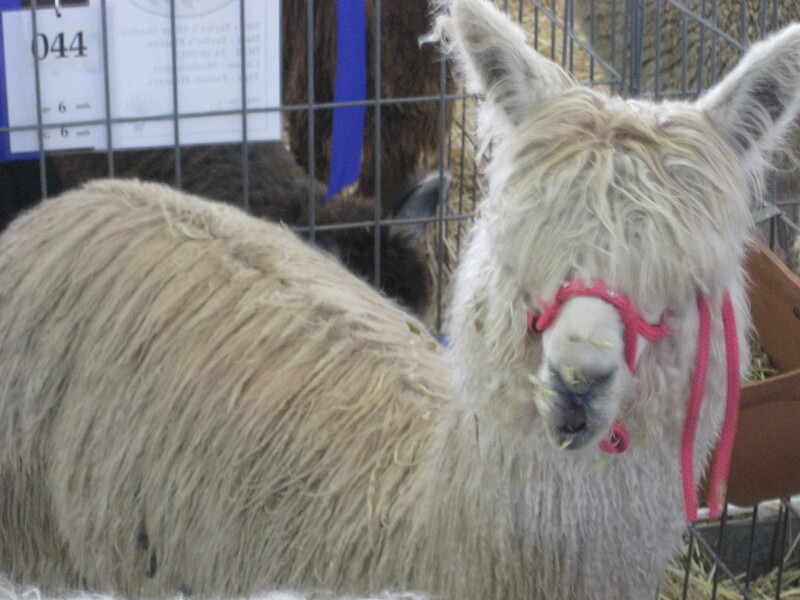 After viewing the animals and watching some of the judging I visited the vendors tables to look at all the items made from alpaca fleece. This included beautiful jumpers, blankets and scarves with a beautiful hand and drape. I purchased some alpaca fibre for spinning in black, brown, fawn and white. I look forward to spinning and weaving some warm, beautiful scarves. 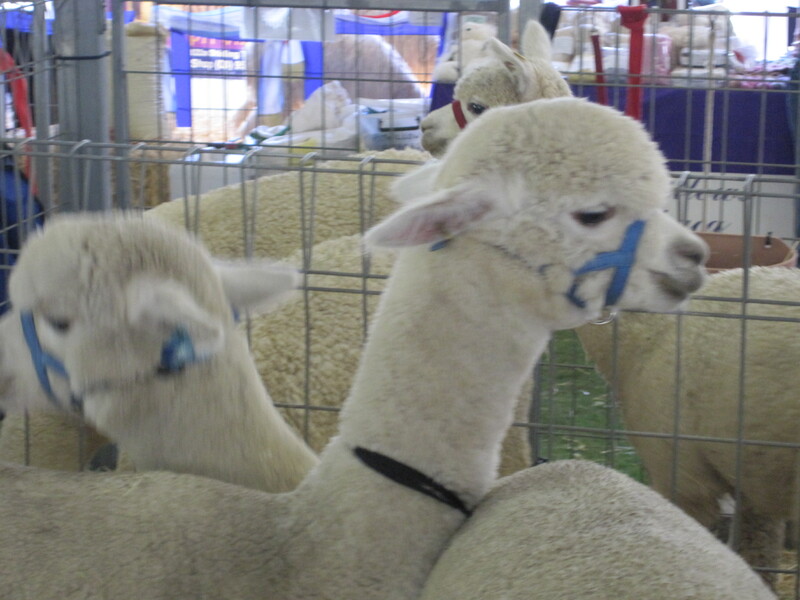 This entry was posted in Uncategorized and tagged Alpaca, Alpaca fiber, Breeders, Camelid, Huacaya, Perth, Western Australia, Whiteman Park. Bookmark the permalink.